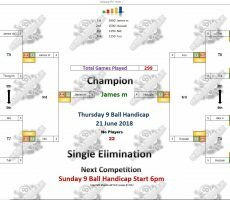 THURSDAY 9 BALL – 21st JUNE : JAMES WINS. 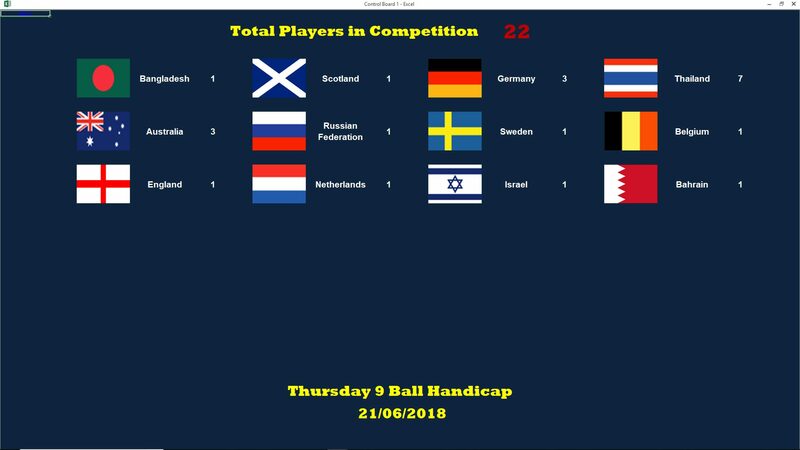 Thursday’s 9 Ball Competition saw victory for James Mostag from Australia. 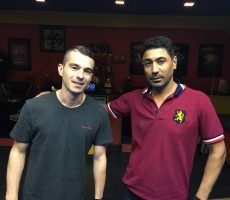 From a total entry of 22 players from 12 different countries, he defeated Hassain Qattan from Bahrain in the final, 4-4 in racks (race 4-6) to claim the 1st Prize of 5000 baht. He was on top form all night long to go undefeated for five matches, and ended up a worthy winner. 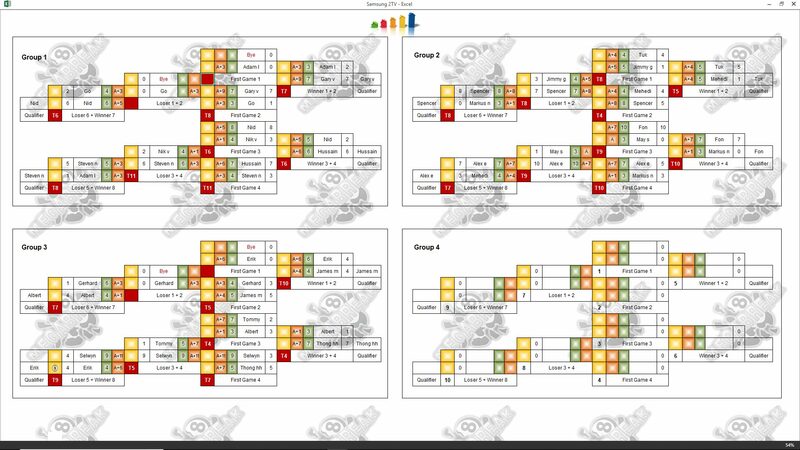 Hassain also played well to reach the final, before finding the handicap just too much against James, and collected 2500 baht in 2nd Place. 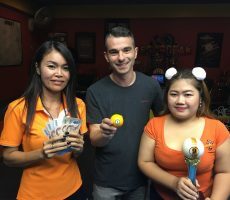 The other money winners on the evening were two Thai girls, Nid Mirantee Phukthamt and Fon, who each took home 1250 baht for reaching the semi-finals. 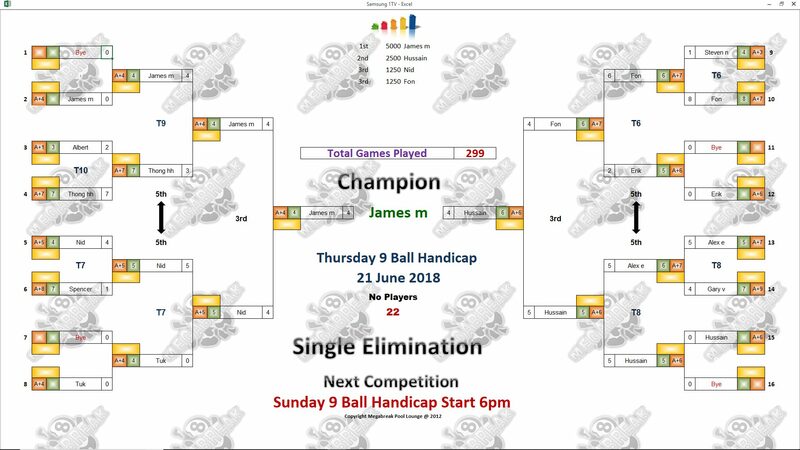 Champion : James (A+4) – 5000 baht. Runner-Up : Hassain (A+6) – 2500 baht. 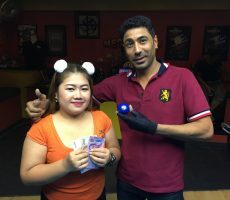 Semi-finals : Nid (A+5) and Fon (A+7) – 1250 baht each. The Player Auction Prize Fund totalled 21800 baht and was won by Markus Nolberczak from Germany. 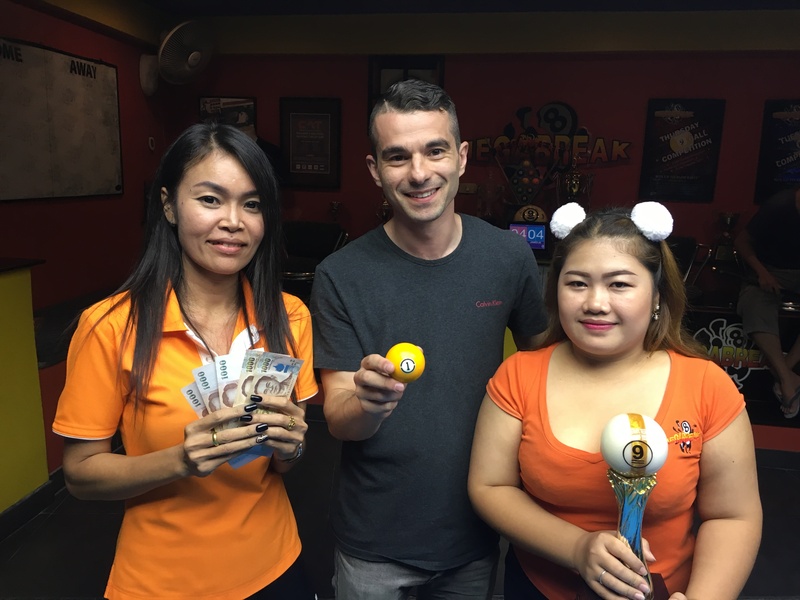 He bought James for 1400 baht, and they shared the 1st Payout of 8800. 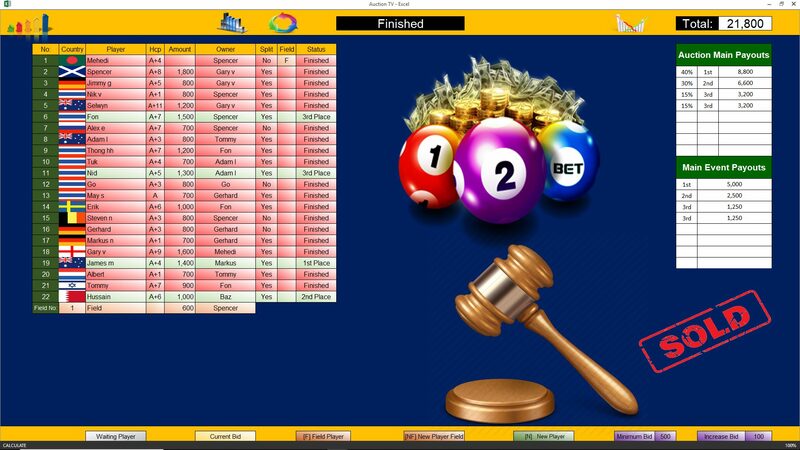 1st (40%) : Markus (James) – 8800 baht. 2nd (30%) : Barrie Sherman (Hassain) – 6600 baht. Equal 3rd (15%) : Adam Lux (Nid) and Spencer Henderson (Fon) – 3200 baht each. 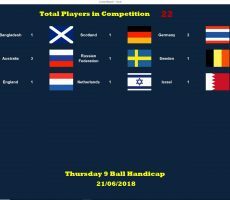 ← Tues 19-06 : Erik Wins Again!